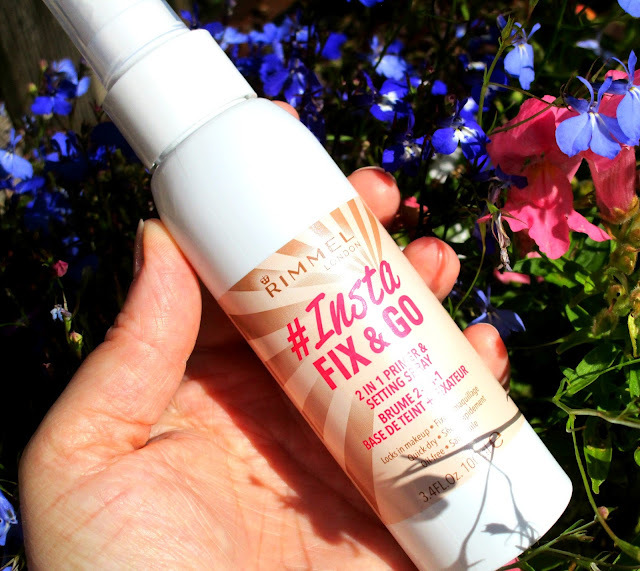 HaySparkle: Rimmel #Insta Fix & Go Setting Spray Review! Makeup setting sprays and priming sprays are huge in the world of beauty right now and I for one am a total addict of them, priming sprays always make such a different in how my foundation looks on my skin and setting sprays... well they just keep everything set and looking fresh throughout the entire day don't they. So many brands are jumping on the setting spray bandwagon now and I'm definitely down for trying them all, I don't know why but I seem to be obsessed with trying every setting spray I see in Superdrug or Boots, and one I've been putting to the test recently is Rimmel's offering - the #Insta Fix & Go! Rimmel's #Insta Fix & Go is a two for the price of one kind of product, not only does is claim to set and lock in your makeup but it can be used to prime the skin too, you cant beat getting two products in one can you! I have to say pretty much straight away I loved this stuff, it does exactly what it says on the tin or should I say spray bottle and does a fantastic job at keeping my makeup in place all day, it's also great if you've gone a little bit OOT on the powder products because it reduces that cakey, over powdered look without leaving you oily a few hours later! As for priming... it does create a beautiful dewy base to work on, personally I love going in with my foundation straight away when the spray is still wet on my face, it seems to do something magical and makes my foundation look so smooth and flawless on my skin, I love it! The spray itself is super lightweight and cant be detected once it's set on the skin which takes seconds, it never feels sticky or tacky and I never feel like I have a film layer over my makeup either which gives this lots of sparkly points from me. Another thing I love about the #Insta Fix & Go is that it has the most gorgeous, refreshing cucumber scent which to be honest makes all the difference, other sprays I've used are un-scented so this makes a lovely change. If your looking for a good setting spray that wont break the bank then I cant recommend the #Insta Fix & Go enough, I've been totally obsessed with my bottle! 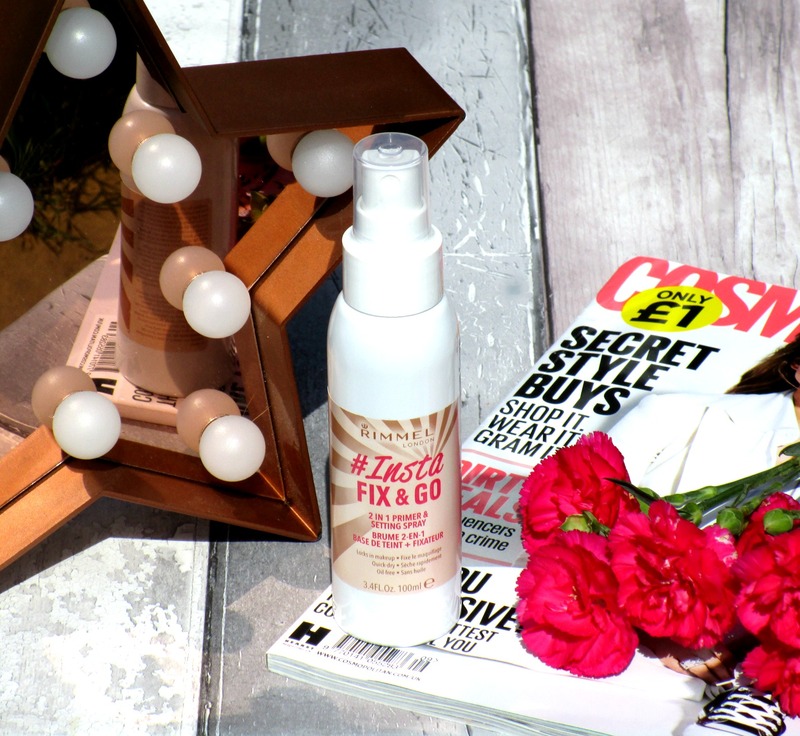 You can find the Rimmel #Insta Fix & Go Setting Spray for £6.99 HERE. I didn't know they make this! I have to check it out!